As an alternative to its default filtering algorithm, Facebook provides a way to sort your friends’ posts by chronology in its mobile apps. But some people say the process for doing so is not that awesome. After a recent change to Facebook’s app on iOS, a number of users say the company has essentially buried the sort-by-time feature. Taking to online discussion boards to complain, they also lament the fact that there is no way to set the mode as a default on mobile. For users opting for a chronological view of their posts, there is an easy way to change the setting on the desktop. But changing the setting on Android—and now iOS—requires a different process, one that some users don’t like, or aren’t even aware of. In this video, we’ll show you how to navigate the sort-by-time feature on both mobile and desktop. To view chronological postings in your News Feed, tap on the More tab in the mobile version of Facebook and scroll to the Feeds section where you can select the Most Recent option. 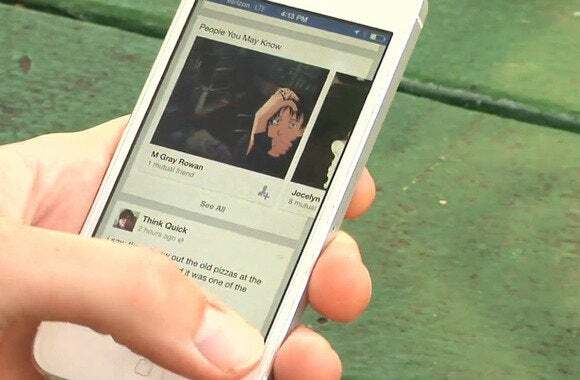 To change your News Feed so that posts appear chronologically, tap on the More tab in either the Android or iOS version of Facebook’s mobile app. From there, scroll down to a bar labeled Feeds and tap on Most Recent. 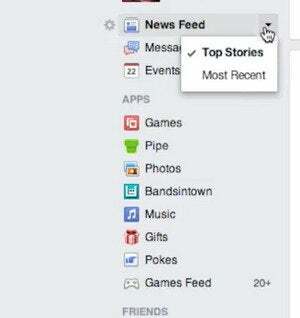 Now you’ll see items in your News Feed in order of the time they were posted. Note that if you navigate to other parts of the app—Notifications, say—you’ll need to tap on the More tab to return to the chronological listing. You also can’t make time sorting your default view on mobile. 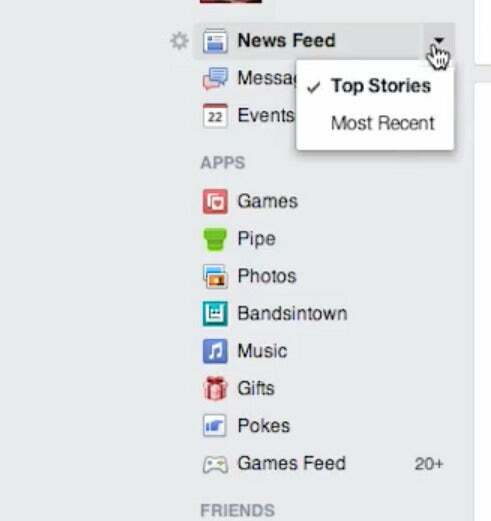 The dropdown arrow next to News Feed in Facebook’s desktop version lets you toggle between Top Stories and Most Recent. It’s easier on the desktop version of Facebook. Click on the dropdown arrow next to News Feed in the lefthand column and select Most Recent for a chronological listing of posts. Besides time, Facebook also provides some other personalized news feed options based around users’ personal affiliations, jobs worked and schools attended. Users can add specific people to these lists if they want, which can be accessed from both mobile and the desktop. Facebook is constantly tweaking its filtering algorithm. Late last year, as part of an effort to display more “high-quality” content, the company said it would be emphasizing news articles in the feed. But high quality to one person may be of a different quality to another.